You may receive updates from Mindi 4 NH www.mindi4nh.com, the sponsor of this letter campaign. The House passed the repeal of the death penalty by a veto proof margin. 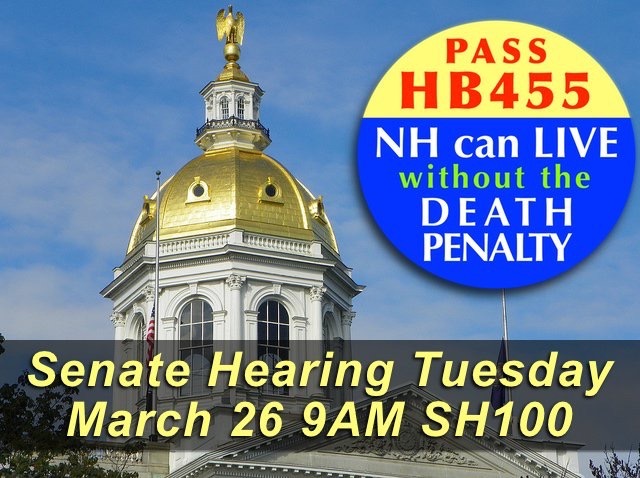 Please thank your reps for supporting it and ask them to sign in next Tuesday morning , March 26 in SH100 to show support for HB455 in the Senate hearing! Also, if you can be there please stop in and sign in support yourself next Tuesday!